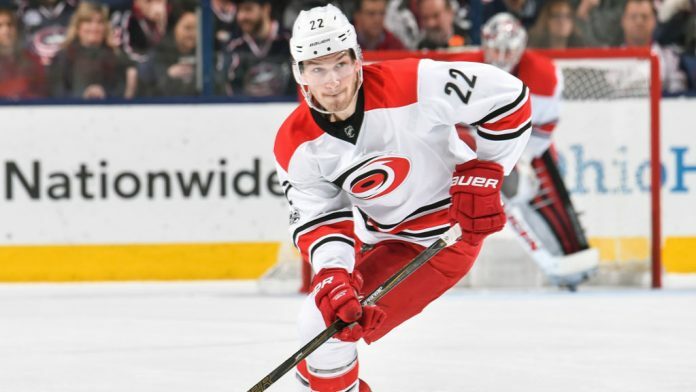 Will the Toronto Maple Leafs make a trade for Brett Pesce? Would they trade away Kasperi Kapanen or Andreas Johnsson? What will the Buffalo Sabres do at the NHL Trade Deadline? Sportsnet: There has not been much NHL trade rumors about the Buffalo Sabres. The reason is GM Jason Botterill plans to keep the status quo and continue to build his team. To put UFA Jeff Skinner on the market, however, would rankle a dressing room that is finally on the right track. Botterill will try to re-sign Skinner without giving him a hard Feb. 25 deadline. Don’t plan on the Sabres to make any moves at the deadline. Sportsnet: The Colorado Avalanche has failed to build upon its breakout 2017-18 campaign and thus should embrace the lottery and all those chances for Jack Hughes. Unless Colorado can add a meaningful forward with term by moving, say, defencemen Tyson Barrie or Nikita Zadorov, we don’t expect much here beyond minor tinkering. Joe Sakic will keep his picks and prospects. Will the Toronto Maple Leafs trade for a right-shot defenceman? Sportsnet: Leafs GM Kyle Dubas would like to make one more move for hopefully a deep playoff run. The Leafs do not have a first-rounder to spend, but the smoke around a potential Leafs-Hurricanes deal isn’t dispersing. Toronto absolutely wants a right-shot defenceman (Nikita Zaitsev is the only one in the lineup), preferably one with some term. Brett Pesce fits that bill. So does Chris Tanev. If the Leafs want Pesce as they have been scouting him for the past few weeks, it will likely cost Kasperi Kapanen or Andreas Johnsson. Owner, web developer and writer of nhltraderumor.com. Love hockey and golf. Rob is married with two wonderful daughters. NHLTradeRumor.com offers Fantasy hockey predictions, NHL history, NHL records and NHL trade rumors. Will the Edmonton Oilers trade Ryan Nugent-Hopkins? Re: Colorado. They also own Ottawa’s #1 for 2019 draft so they may not deal. © 2019 nhltraderumor.com. Your NHL Trade Rumors source.